The crash happened on the Hawkesbury River near the suburb of Cowan, New South Wales Police said. 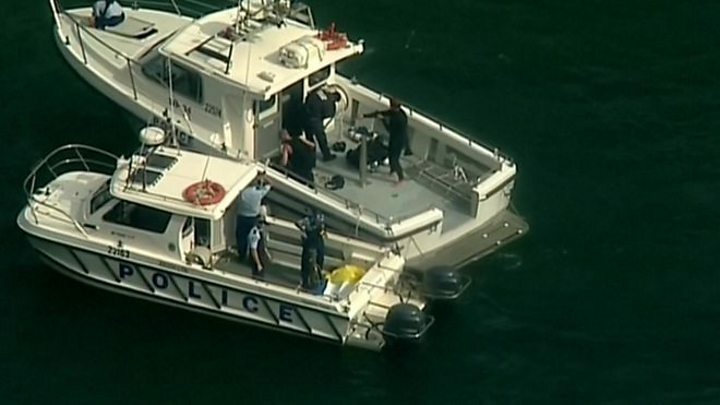 Police divers have recovered six bodies from the wreckage, which is lying in 13m (43 ft) of water. The identity of those aboard has not yet been released. Local media said the aircraft was from scenic flight company Sydney Seaplanes. Acting Superintendent Michael Gorman said the “recovery operation continues” at the site where the single-engine aircraft crashed. Unconfirmed reports said the casualties included an 11-year-old boy, the pilot and four British nationals. A woman at the scene said the weather had been “a bit bumpy” but “nothing to be concerned about”. An eyewitness, Myles Baptiste, told the broadecaster 9News that the plane was 500m (1640ft) from him when it hit the water. “It made a tight right-hand turn and as it actually turned around, the wings dipped and it nosedived straight into the water,” he said. It is not yet clear whether divers will be able to recover the seaplane itself on Sunday or will have to wait until Monday.